On the 17th of May WordPress released their latest update, version 4.9.6. WordPress 4.9.6 has been released in conjunction with GDPR which comes into place on the 25th of May 2018. This makes it different to the usual minor updates that focus on security and maintenance. You can find further information on WordPress 4.9.6 here. Automatic updates are one of the benefits of our Managed WordPress Hosting packages. 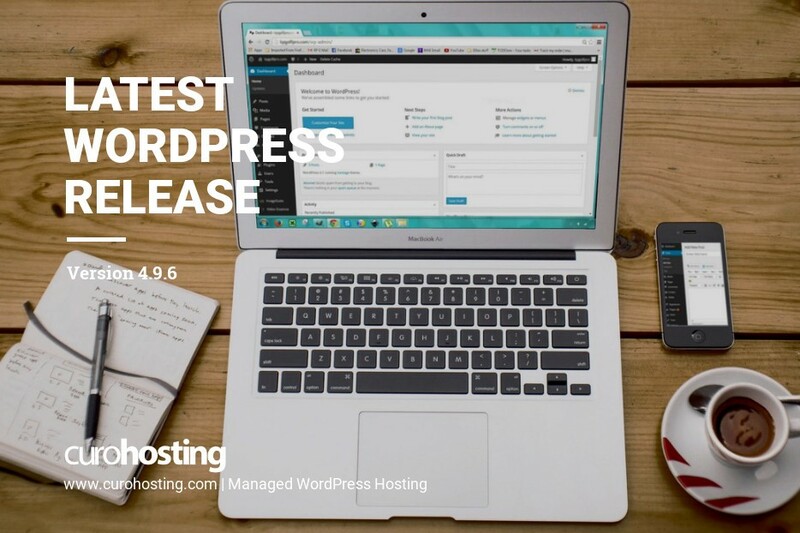 All CuroHosting clients have already been updated to WordPress 4.9.6. If you need any help updating your WordPress site you can contact one of our WordPress experts.